You must submit a written resignation to the Union Office. The written resignation must include the date, your signature, contact information and employee number. A phone request cannot be accepted. When the written resignation is received the local shall remove you from its roster and no further monetary obligations shall be required. If you do not submit a written resignation to our office, you will still be financially obligated and no reimbursement of fees shall be granted from the Union. 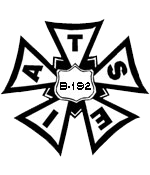 If you have resigned and are rehired into an IATSE Local B-192 position, you will be considered a new member. As a new member, you shall be obligated to all financial requirements of membership including but not limited to the initiation fees, application fees and monthly dues in toll. If you are simply transferring to a different position in a department overseen by Local B-192, you will not need to resign or pay initiation fees or application fees. You must submit a letter to the Union office with your signature, the date, contact information, employee number and the departments transferring from and to. For example "I was in Show Control and I'm now in the Entertainment Office."